The Potager Garden and Cafe is hidden in the depths of Cornwall near the little village of Constantine, North Helford. The cafe has a “garden room” feel, with greenery and trees all around it. It has a friendly, comfortable atmosphere and when the sun shines it really feels like you are outside, as it comes right through the glass. 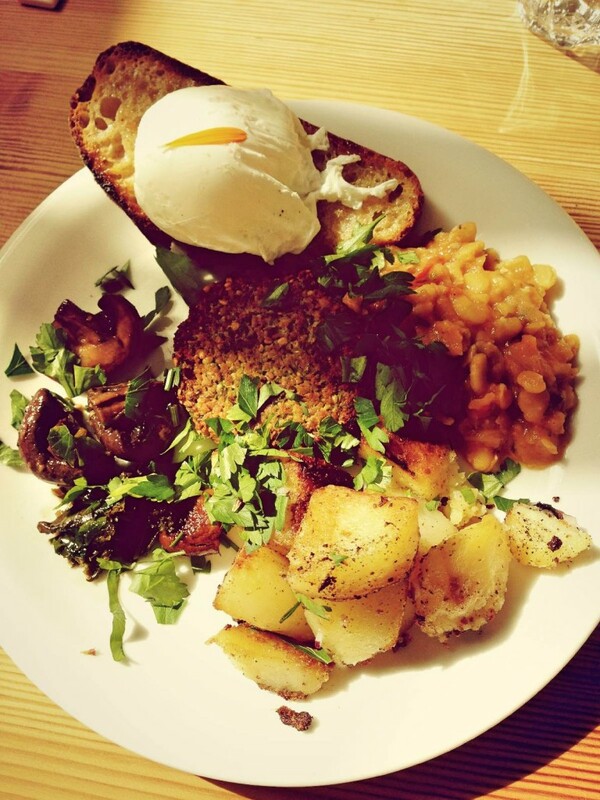 The chefs put a Cornish spin on the traditional “full english breakfast”. Marrying local produce and classic ingredients, they produce a beautifully tasty vegetation breakfast. Potager also stock freshly baked cakes and other health conscious snacks. The garden is very pretty, it has winding paths heading towards the cafe and the large green houses at the back. Walking around the vegetable plots you will find all sorts of verities of food as well as unusual plants (some for sale) and you might even come across a ping pong table, which is free to play on if the mood strikes you!